Sardana is a typical Catalan dance that is performed by groups of people of all ages dressed in traditional costumes. Sardanas are dances performed by groups united by their hands and forming circles accompanied by a band called cobla composed of around 10 people playing wind instruments. 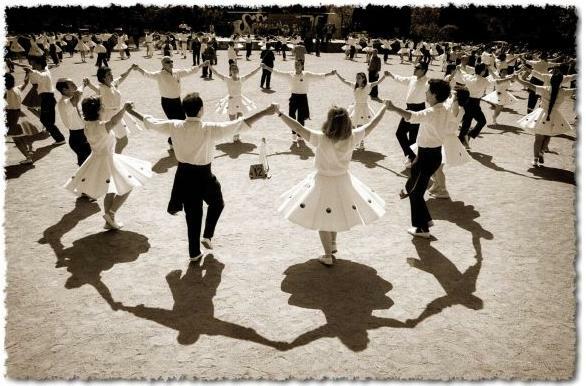 This typical dance is mainly performed in the area of Emporda (north of Catalonia) but it tradition was extended during last century to the rest of the Catalonia. In Barcelona, Sardana can be seen during the festival of La Merçe (September 24th) and La Diada de Catalunya (September 11th).